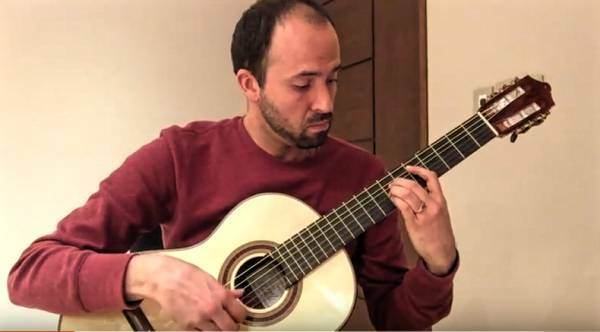 This is Eduardo Diaz, a guitarist- composer from Mexico, playing ‘Subiendo la Montaña’. Inspired by the video of Yi Hui Wang Eduardo contacted me, to inquire about the model Yi Hui Wang is playing in the video. To avoid the waiting list he bought an instrument at GSI. Eduardo Diaz has a very popular YouTube channel . Here he plays and promotes his compositions and arrangements. Most of them can be ordered at Per-Olov Kindgren’s online music shop.